Summer days are best spent in the garden soaking up the sunshine and helping things GROW. 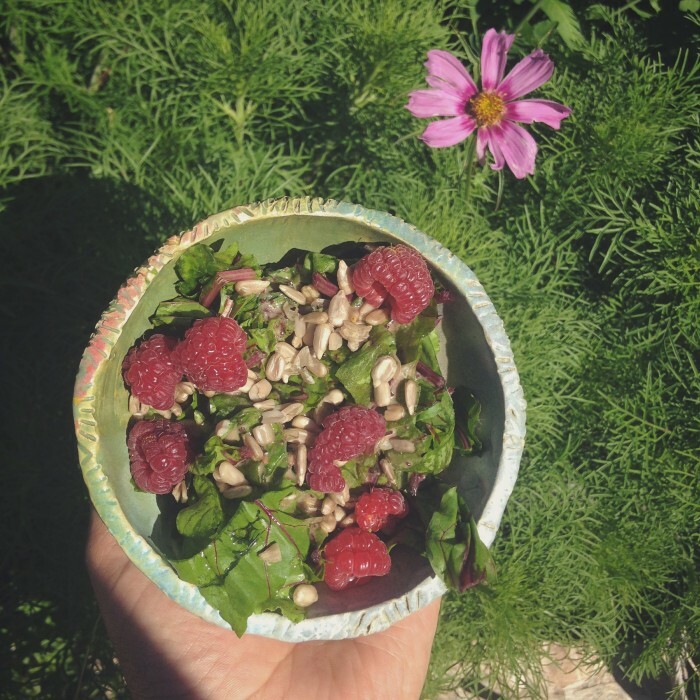 When we're busy digging in the dirt, even though fresh food is everywhere, we know that sometimes it is still hard to eat well and keep energy levels high. ​So grab a handful of what looks good, give it a rinse and toss it in a bowl. We used beet greens for our salad but spinach, lettuces, spicy mustard, cress, peppers, fennel, edible flowers like borage, calendula and nasturtiums would all be tasty. ​Not so long ago, condiments like salad dressings added valuable enzymes, fats and herbs to meals which aided in digestion as well as the absorption of vitamins and minerals. These days, store-bought salad dressings are full of refined salts, sugars, rancid oils and all kinds of nasty things our grandmothers would not recognize! If you're looking for a simple way to incorporate probiotic foods into your everyday, start small. Chuck out those unhealthy condiments and replace them with traditionally fermented foods like our kombucha vinaigrette and cultured mustard. Combine ingredients in a jar and shake, shake, shake. 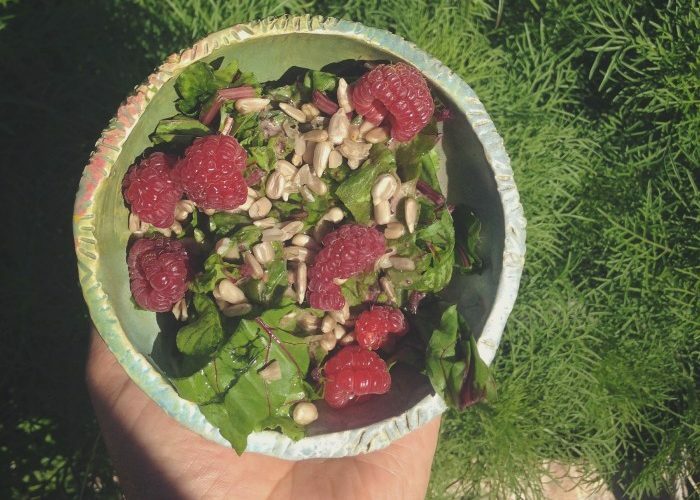 Pour onto greens and add your favourite toppings like nuts, seeds and berries. Using a coffee grinder or mortar and pestle, crush your mustard seeds into a powder. We like to leave some seeds whole for a chunkier mustard. Crush the garlic as well or chop it finely. Using a jar funnel or just a spoon and a steady hand, pour the mustard into a clean jar. Place the jar in a warm place for 4 - 7 days. The mustard is ready to eat any time, but the longer you leave it, the more the flavours will develop. Place it in the fridge if you would like to slow the fermentation process or leave it on the counter if you'd like the flavours to develop further. If you are opening and closing the jar often, we recommend transferring it to the fridge after no ﻿longer﻿ than 1 month to avoid spoilage.